Your Mattress Is Too Soft – How To Make Mattress Firmer? 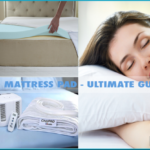 You are here: Home / Guide / Your Mattress Is Too Soft – How To Make Mattress Firmer? A mattress definitely holds the key position when it comes to defining a good night’s sleep. It is important because, without having a proper mattress, you may not even think about having a calm and consistent sleep overnight. You will find yourself turning and tossing and may end up with groggy feelings in the morning. To make sure you sleep better and enjoy a consistent sleep, you should consider buying a mattress which is thick enough to provide you the desired comfort and also is soft or firm depending on what your body needs. 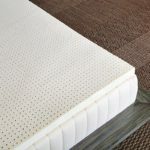 However, there is a problem here, when you buy a new mattress it’s too soft or after using for a time your mattress become softer,… and you do not like that. Do not worry! In this article, we’ll show you how to make mattress firmer in simple and affordable ways. 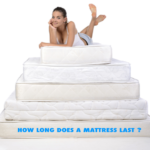 Why thickness and firmness of your mattress are important? Regarding the thickness and the firmness of the mattresses, we can say that you should select according to the way you sleep or what are the basic requirements or expectation you have while using your mattress. Like if you are a side sleeper, you might be in need of a medium soft mattress whereas if you are a back sleeper you may need to get a firmer mattress. For the belly sleepers, it is always a good choice to buy a soft mattress. But it is also true that when you buy your mattress it may be a little firm, but as the time passes the firmness of the mattress gets vanished or may slightly deteriorate due to the external factors and usage of the mattress. Why mattresses lose their firmness? The mattresses may lose their firmness because of the moisture, heavy usage, insufficient care, and lack of proper placement of the mattress. And if you are in need of a slightly firm mattress, you may need to treat it through proper ways so that you can restore its actual firmness or at least support it using different accessories to gain the firmness again. How To Make Mattress Firmer? An easy way out to make sure you have a firmer mattress again is to replace it with a new one. But you should be aware of the fact that replacing your mattress may cost you 500-1000usd or more depending upon the kind of mattress you have or want to replace your old mattress. So, better not to go with the replacement option and try to look into easier, low cost and wise solutions, instead. If you have a mattress having multiple layers, you may try changing the above layer and see if that works for you. It will cost a lot lesser than changing the whole mattress and you will get a firm support again. Try to put your mattress on a plywood bed support. This will ensure that your mattress is supported in a firm way so that no part is sagging and will be kept straight. Using a firm mattress topper is one of the easiest ways to get the firm mattress surface. 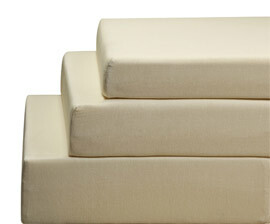 You should use a latex mattress topper or a high-density memory foam mattress topper for a firm yet adjustable support. Latex and memory foam toppers are the best choices to make mattress firmer. If your existing mattress is too soft, you should buy a latex topper, because naturally, latex is firmer than memory foam. In case you need soft yet form upper layer, you may choose a cotton filled mattress topper. A well-fitted mattress pad and cover can also supplement in retaining and enhancement of mattress firmness. A mattress topper acts in protecting your mattress in many different ways. One is that your mattress will have an extra layer which will be affected when you use your mattress and in the way and the actual mattress does not get direct affect on its surface. It gives an extra soft or firm layer on the top of your bed, keeping it firm and in the actual form of the mattress, the way the mattress was before. You should use a memory foam mattress topper if you have to get the firmness back for your side sleeping habit. This will give you medium firmness and a very good night’s sleep. For those who need to transform into a new mattress through a mattress topper, a latex mattress topper would be the best. Highs and lows in the room temperature can also affect the firmness of the mattress. If you could keep it normal, you can easily avoid the deterioration process of the mattress. Make sure you put your mattress under the sunlight after every few months. This will help the mattress rejuvenate its internal structure by stretching the cells and killing germs and mildew and release moisture. 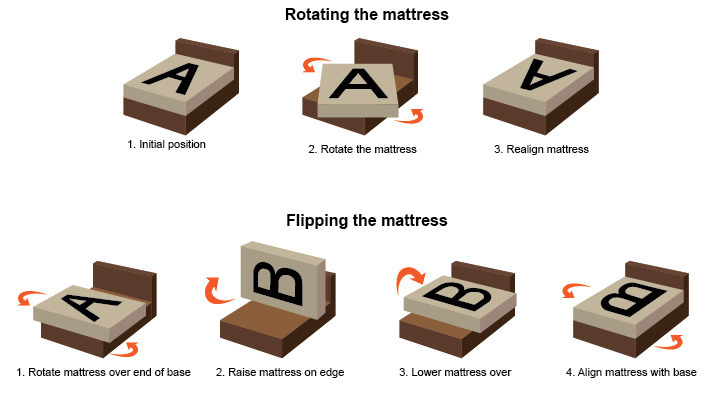 Make sure you flip your mattress on a regular basis. This practice will help you retain the shape of the mattress and the mattress will not be overly used from one side or spot. When all areas get equal pressure, the deterioration process will be slow. Among all these tips, we may consider two things the most important ones, moisture and wrong placement of the mattress may lead to the loss of firmness. So, if you can protect the mattress from these two factors, you can surely make it feel firmer and supportive. Hi I have a soft memory foam bed as well and wake up with lower back pain too. My older conventional mattress did not give me any pain. I think it’s probably your mattress, it should be firmer to avoid the pain contrary to some articles advice. Good luck. Hi, I have been searching the Internet for approx 2 hours and this is the only site I have managed to find that someone “in the know” actually replies. I would appreciate it greatly if you could respond to this request via my email as well as posting on here please. (I am unlikely to be able to get back to this post and see your response, due to my dimness). I would greatly appreciate it if you can. So… to the mattress topper. For many years now I have had a memory foam mattress, but due to a house move my original bed didn’t fit in my new bedroom. So I have bought a complete new bed and mattress. They were both fairly expensive and are only 3 months old. The base is one of those that opens/lifts up for storage. I stupidly didn’t buy a memory foam mattress this time and it is giving me untold problems with ongoing neck and shoulder problems, but I find I also have to support both sides of my waist with small cushions when I’m in bed. In my opinion this mattress is too soft and my issues are only going to get worse, not better. Is there a mattress topper out there that will help to firm this mattress up that doesn’t cost the same as a half decent memory foam mattress? Thanks very much in advance for any advice you may have and I really would appreciate an email to either respond to this question or at least send me back to this link. Normally, you will get notification of my reply in your email. In that article, you can find top rated medium-firm to firm toppers which can help to make your mattress firmer. 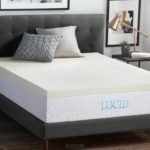 If you want more firmness (if your existing mattress is too soft), you should buy a latex topper, because naturally, latex is firmer than memory foam (but they are more expensive). Hi, I clicked on the link for the latex mattress topper as you suggested and the description and reviews all indicate that it makes your mattress softer not firmer. My situation is basically that I have back pain and my boyfriend and I have a brand new mattress that he loves and my back is hurting. So I figured if I could get a mattress topper for my half of the bed, that would solve my problem without disrupting his sleep. 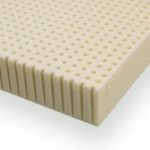 Yes, latex toppers can both help to make your mattress softer or firmer (I mentioned both in that article). It depends on the firmness of the topper your choose: soft, medium-firm or firm. A soft topper will make your mattress softer. A medium-firm or firm latex topper will help to make your mattress firmer and help relieve back pain. I have a mattress with an attached pillow top. I feel like I can’t clip it for that reason, but would the plywood help? My husband and I wake up every morning with back pain. Buying a new mattress is not in our budget at this time especially being the holiday season. Any suggestions would be appreciated, thank you! You should check your bed foundation, if it’s not good then using plywood can help a little. Hi, Thanks for your the article. Everyone knows that a good mattress is important for your sleep. When we have used it for a while, it lacks softness, which causes problems such as back pain, knee pain, waking up at midnight. 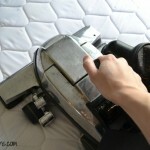 Make mattress firmer is a temporary solution, I wonder if I should change the mattress? I am in need some information. Can you give me a tutorial? Thank you very much, have a nice day. Did you read the article and try our suggestions? Which would sleep cooler, a firm memory foam topper or a firm latex topper? I have a new mattress that is too soft and does not allow me to turn over easy, but do not want something that adds heat as i like to sleep cool. A firm latex topper is cooler. Generally, latex and gel-infused foam are top cooling materials. Thanks for this information. My frequent guest requires a firmer bed than that provided by my memory foam, which is almost new. I will look for a firm topper. What a relief to not buy a whole new mattress! Thank you so much for this helpful article. I have been given a bed by a friend, but the mattress is a soft mattress and is far too soft for my partner who likes and needs a firmer mattress. 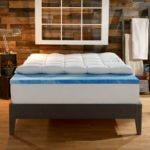 Will a Latex mattress topper help firm up the mattress enough for him? Yes, a latex topper can help. Great article, just remember to use a mattress encasement on any mattress to keep it protected from bed bugs, spills, viruses, dust mites, allergens, etc. I sleep on the floor and my back feels wonderful. Your article was super useful. I looked into the latex topper but the brand you suggested (Ultimate Dreams) is not available in firm for a king size bed. Another brand (Pure Green by SleepOnLatex) is available and sounds promising. However, it doesn’t seem to come with a cover. In your experience, is a cover required? My only other concern is if the bed sheets will fit with such thickness. I definitely need Firm though bc my tempurpedic has somehow become too soft since we got it a few years ago.